Ilyever tea infuser- Loose leaf tea made easier! 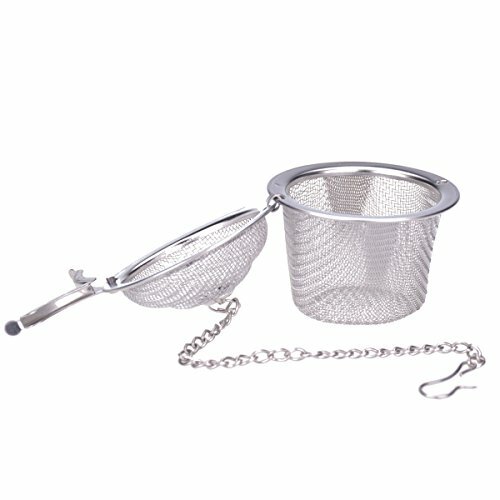 Make the perfect tea every time - in just three simple steps -- Stainless Steel Tea Infuser makes it so easy! Size: 2" (5 cm) tall, 2" (5 cm) in diameter at its widest point (top), 1.4" (3.5 cm) in diameter at its most narrow point (bottom). 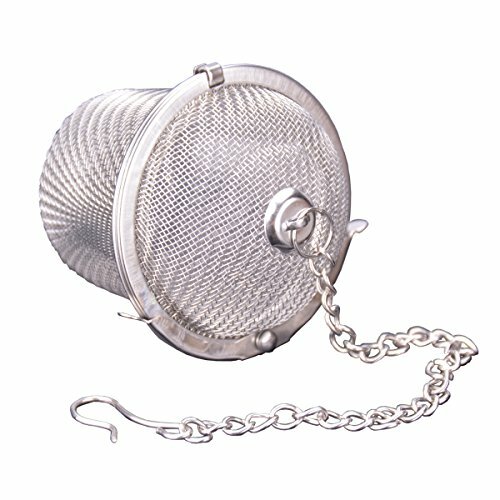 Chain length 6" (15 cm),Perfect for small leave tea brewing. 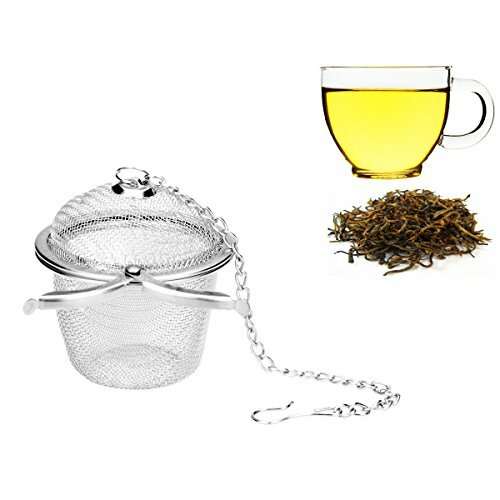 Made from grade stainless steel: high-quality material makes these tea balls safe to use, durable and resistant to rust. Features chain with hook and a strong Locking mechanism- prevents small pieces escaping. With long chain make it perfect for tea pots and water bottles. If you have any questions about this product by ilyever, contact us by completing and submitting the form below. If you are looking for a specif part number, please include it with your message.